In the context of what he said, it would appear unremarkable, but read between the lines and we can see that the Congress spokesperson’s comment here reveals the double standard that Indian (supposed) liberals show in the way they do not feel bad in mocking Hindu traditions, but will always speak in the utmost respectful tone towards the customs of other religions. Now see here – he can impetuously call the headgear of a number of indigenous (Hindu) traditions as being “outlandish” and that is OK as per the “secularists” rule book. He and his ilk would only ever dare to use such a mocking tone when referring to Hindu traditions. Would be say this about the Halal method of slaughter? We have countless other examples. such as Digvijay’s infamous tweet “Bachcha bachcha Ram ka, Raghavji ke kaam ka” in contrast with his “Osamajee” antics. You may wonder why this is still worthwhile talking about after the Congresss’s comprehensive defear in Lok Sabha polls? The answer is that we have to ensure that these “worthies” remain publicly exposed and held in the contempt they deserve by the public. 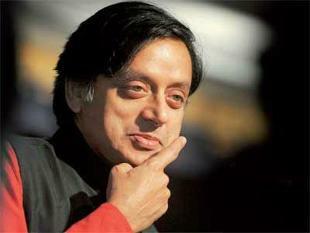 Tharoor has recently written an “8 steps to rescue the Congress” – he should change it and make it 9 points – number one being that he and the entire Congress top brass should reform their own hearts of the contempt in which they hold the culture of the Indian people.